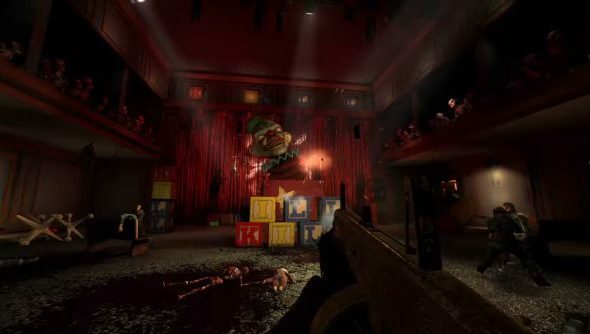 Tripwire are up to their old tricks again by releasing two new maps and an official mod pack to celebrate that scary time of year, Halloween. Club Cladestine is a nightclub themed map, but you won’t find people dancing. Instead it’s filled with torture devices that have been put to good use by its new zombie denizens. There’s also Devil’s Dollhouse, which when combined with the new Toy Master Mod creates a meddlesome concoction. Zeds are replaced by bloodlusted toys of twisted porcelain varieties. If you want to check it out for yourself, we’ve got the trailer below. There’ll be numerous DLC packs on offer too if you want to pick up some new characters and weapons. If you’ve somehow not picked up Killing Floor yet, you can pick it up with 75% off on the Steam store right now. There’ll also be a free Steam weekend in the coming weeks towards Halloween itself, so keep your eyes peeled.